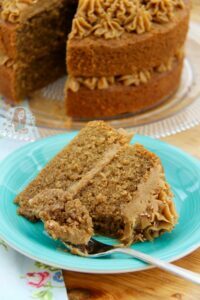 A delicious and moist two-layer Coffee Layer cake with a light & fluffy Coffee Buttercream Frosting! I didn’t really know where to take inspiration from, or who to base my recipe on as all coffee recipes had such mixed reviews that I didn’t really know where to start.. but thats when my mum gave my my grans baking book for inspiration. 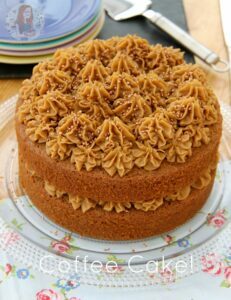 She has some many wonderful little notes crammed in all the blank spaces in the book, and on the coffee cake she was simply put “Victoria sponge + coffee” so.. I went with that. 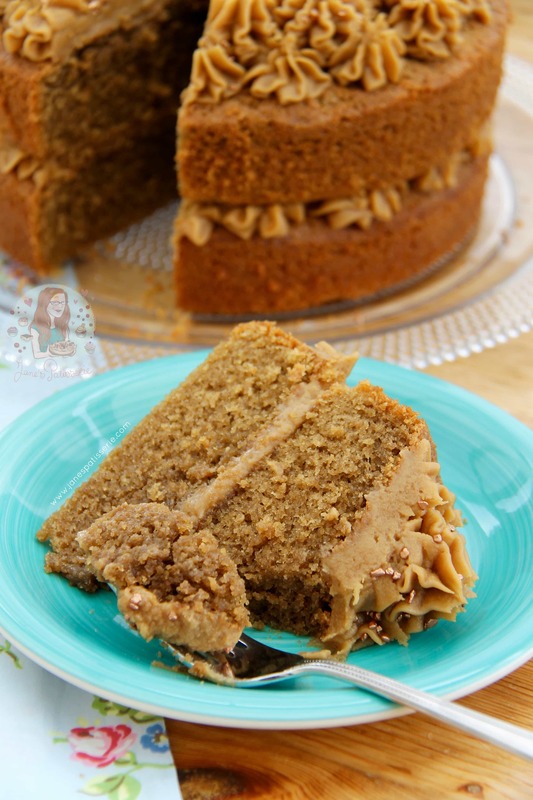 This cake is delicious and moist and I can’t get over how simple it is considering. I used a bit more than the usual 200g rule for victoria sponges as I like to have slightly deeper cakes and I find it bakes a bit better also. The coffee makes the cake mixture the perfect thickness, without having to add the usual milk etc – the Coffee Buttercream Frosting is smooth, delicious and fluffy. 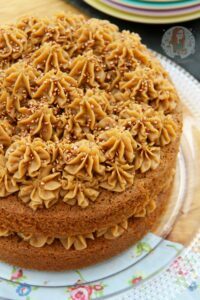 I followed my usual buttercream sort of recipes, and added in the dissolved coffee to get the perfect fluffy thickness and heavenly frosting to match such a delicious cake. My Victoria Sponge – Celebration Cake is great for those of you who don’t like coffee – but this cake really is delicious. 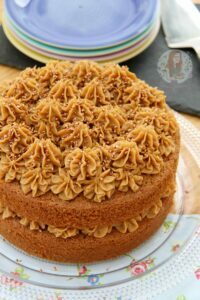 You can also easily make this into a coffee & walnut cake by adding in 100g of chopped walnuts into the cake sponge! 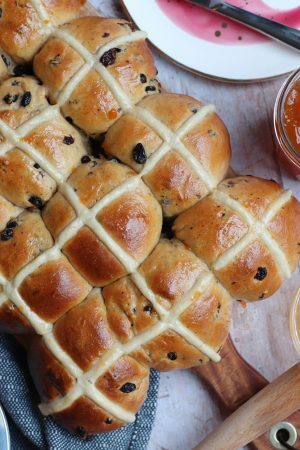 I genuinely think this is the perfect bake for Mothers Day (UK one is on 6th March this year) and my mum definitely agreed and had quite a few slices when taste testing! Enjoy! This recipe makes a 2-layer cake – serves 12-15. 1) For the cake – Heat the oven to 170C/150C Fan and line two deep 20cm/8inch sandwich cake tins with baking parchment – leave to the side. 2) Dissolve the coffee in 1tbsp of boiling water (carefully) and leave to the side (and cool). In a stand mixer, beat together the butter and sugar until light and fluffy. Add in the flour, eggs and baking powder and beat again briefly till combined – try not to overbeat! 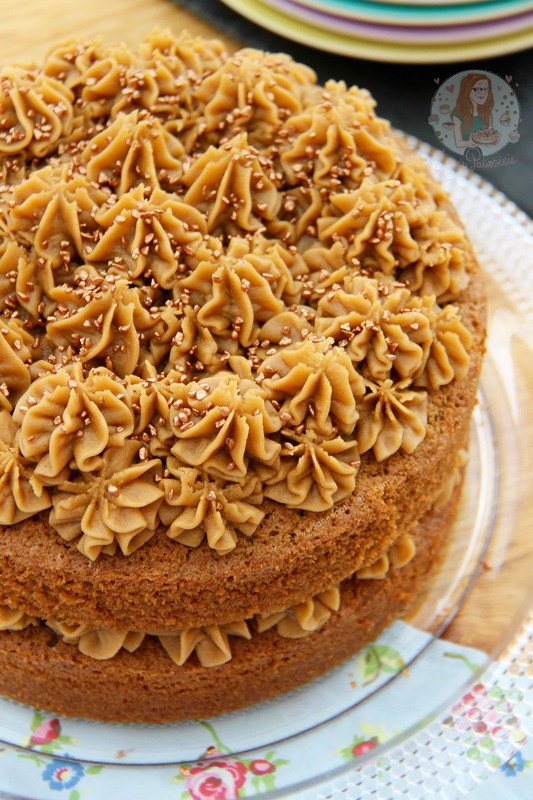 4) Once baked, leave the cake to cool in the tin for 10 minutes, and then remove and leave to cool fully on a wire rack. .
5) For the Coffee Buttercream – Dissolve the coffee in 1tbsp of boiling water, carefully, and leave to cool fully. In a stand mixer, beat the butter with an electric mixer until it is smooth and loose and then beat in the icing sugar 1/3 at a time until its fully combined. Keep beating the buttercream for 3-4 minutes on a medium speed so it starts to get fluffier and lighter. 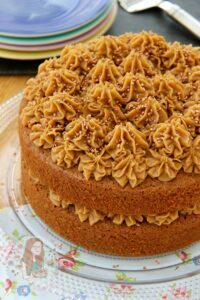 6) Once the coffee is cooled, add it gradually into the buttercream whilst the buttercream is being beaten – once all in, beat again for another couple of minutes until its silky smooth and fluffy. 7) With the first layer of the cake, spread/pipe half of the buttercream onto to top of the first layer, add the second cake on top, and then top again with the rest of the buttercream. Sprinkle over some pretty sprinkles and enjoy! Older Next post: Salted Caramel Macarons! Newer Previous post: Polka Dot Swiss Roll! Bake it on 140C fan – no higher, but for a long long time. And if you’re worried, use a sugar syrup! If you do the frosting properly, and use genuine unsalted butter and no type of spread, it should stay sturdy! 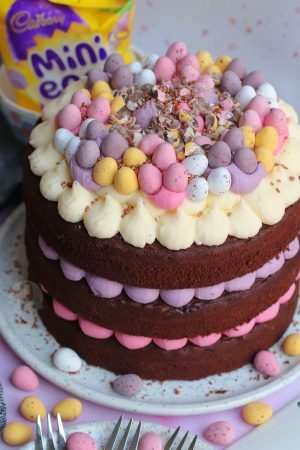 If I want to make a smaller cake – can I just half the sponge ingredients and cook in two 20cm layer tins? 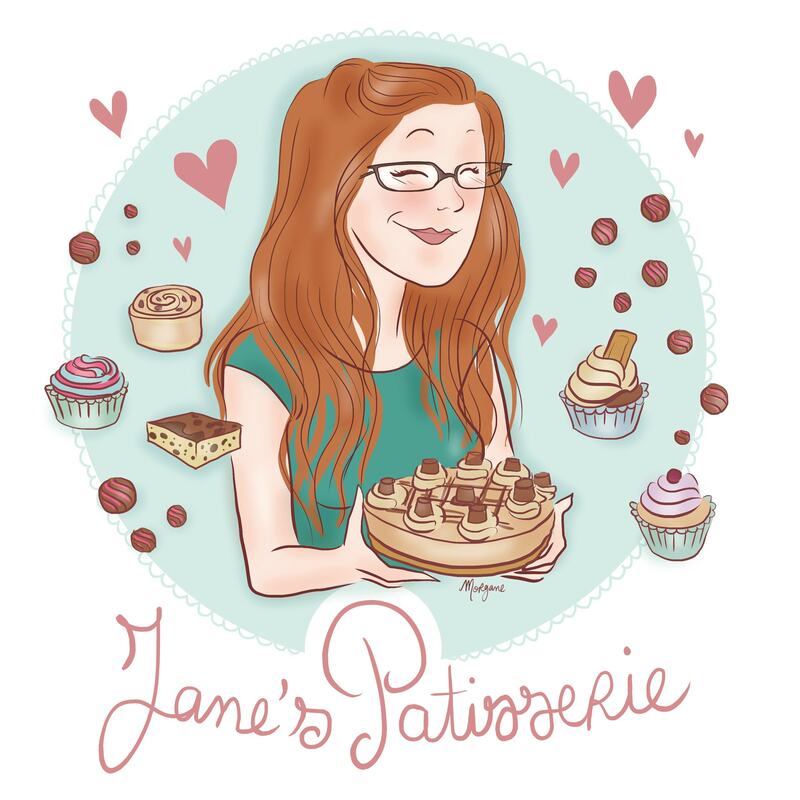 I would half and bake in one tin, but stick to the timings of the recipe – or yes half and split, but the timings would change. Thank you very much. And if I was to add chopped walnuts to the sponge – would you reduce any of the other ingredients? No I wouldn’t – I just whack some in! About 150-200g! Can you add Walnuts into this recipe? 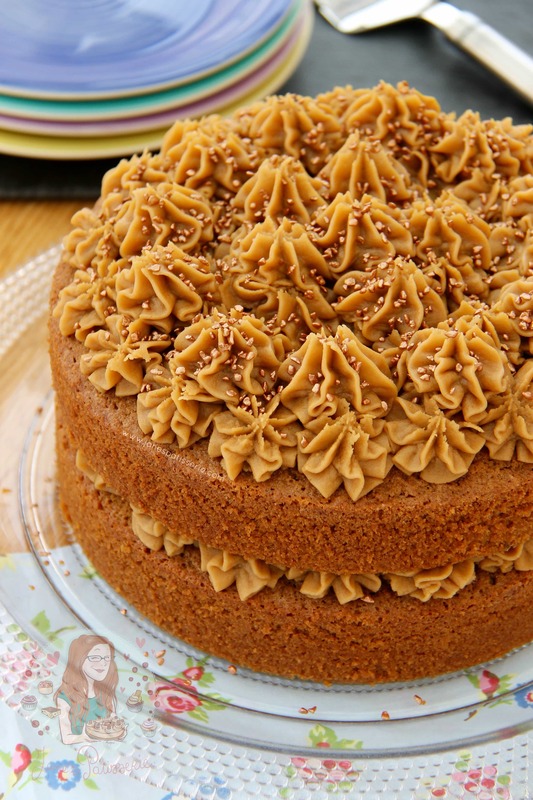 Hi there, i need to make this as a 10″ cake for an upcoming event and was wondering what id need to up the ingredients to? and also how long i would need to bake it for? For a 10″ cake you need to use 1.6x the recipe, so 2/3 more on top of the original! Baking times I am unsure though – I usually lower the temperature to 140C Fan, and bake for a long long time. And yes you can add walnuts! 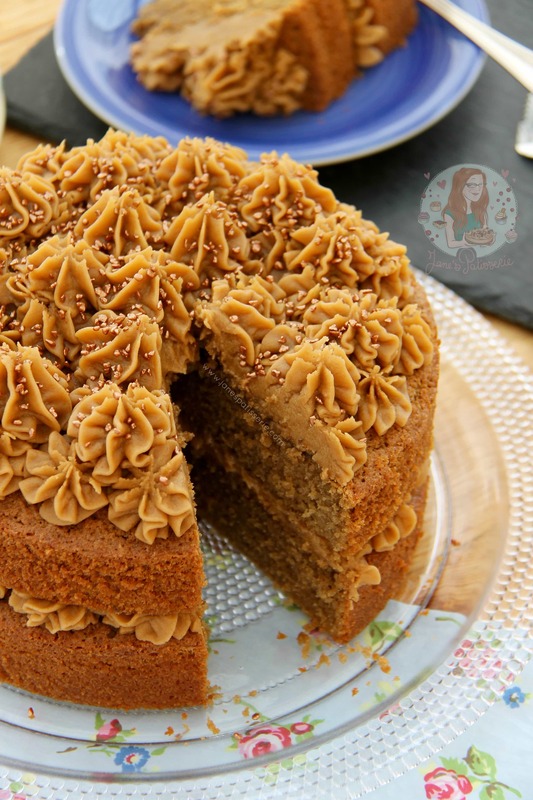 Hi, for your coffee cake as you have used caster sugar on this recipe and light brown soft sugars on your coffee and walnut cupcakes, which sugar tastes better in the cakes? Or do they taste the same? 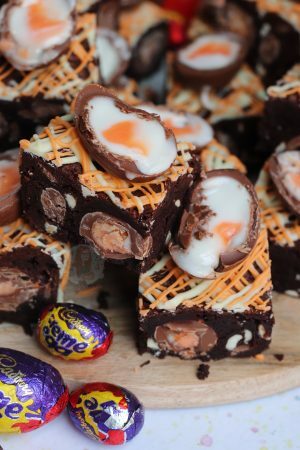 Could I half this recipe?? Yep! But be aware the baking times might change! I made one of your drip cakes recently and although I need to perfect the drip!! 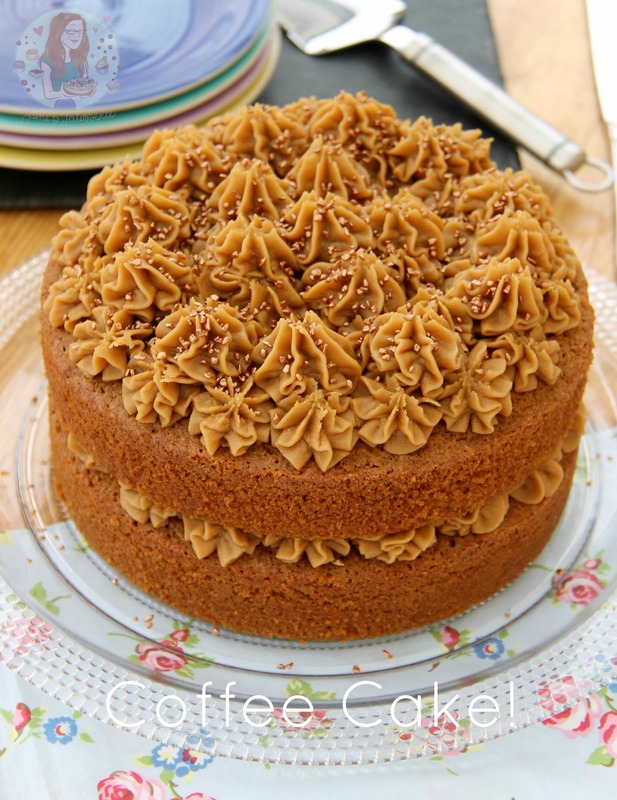 I wondered if I could make a coffee drip cake based on this recipe? I have now ordered a turntable and some big scrapers and offset spatulas as I need to perfect my technique! Would you be able to make one and show us as you are very inspiring and the website is fantastic for helpful advice. 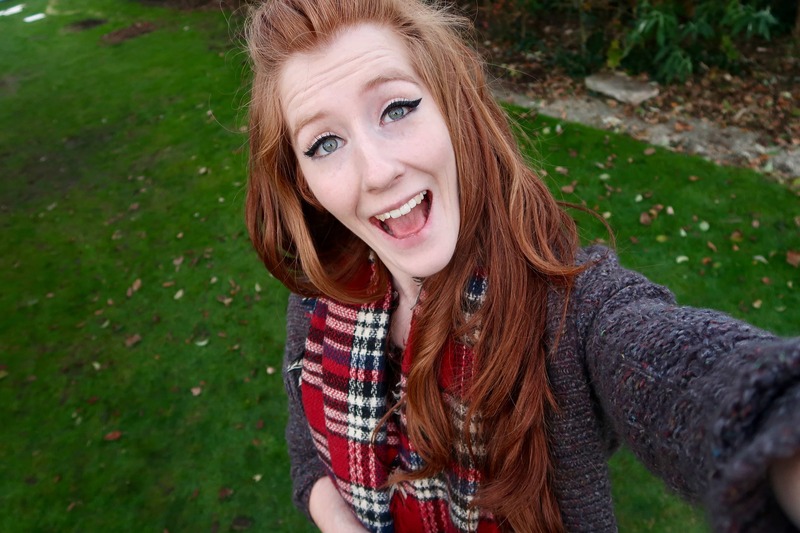 Awh thats amazing!! I am so glad!! In the cake yep! Not the Buttercream though ? Because they were made at different times. It demonstrates you can swap between them. I’ve just made this to give to my daughters school for their annual soup kitchen for the town’ 1940s festival. Really easy to follow. Love your recipes!